The Business Area Tissue stands for innovative converting and packaging machines for hygiene tissue products. Processing wood into tissue paper is a complex technological procedure. However, using complex machines to transform big jumbo reels of tissue paper into the form of high-quality napkins or toilet tissue is real high tech. The machines perform many work steps to manufacture the finished product. They unwind, print, emboss, rewind, fold, cut, wrap and bundle within seconds and fully automatically. Körber Tissue supplies the machines that do all this. At the Fabio Perini production plant in Lucca, Italy: The transformation of wood into paper requires high tech machines. On a roll: Fabio Perini also makes machines for producing the gray cardboard tubes that are inside rolls of toilet paper. 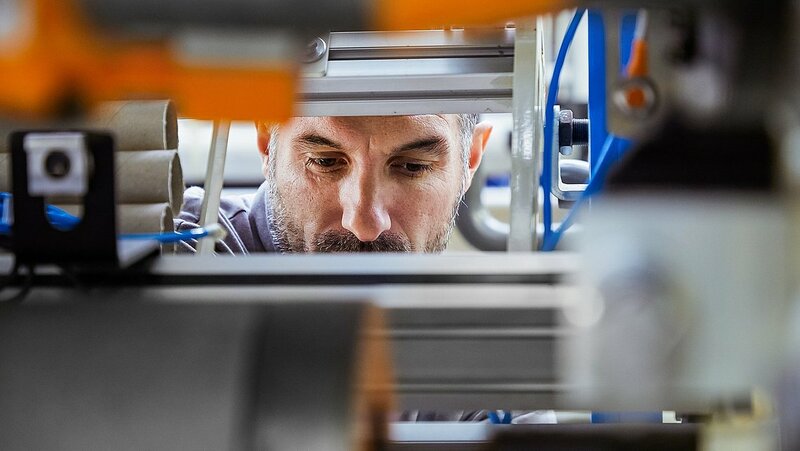 Final check: This employee is inspecting a machine before it is delivered to the customer. 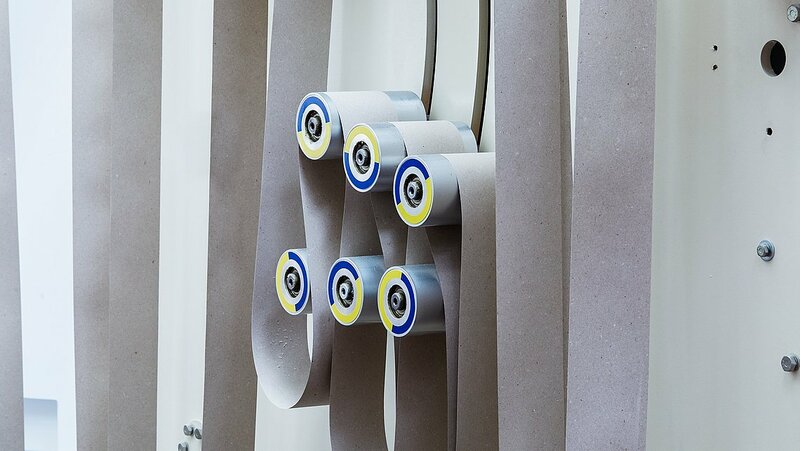 Quality control: This machine uses a sensor station to check whether the rolls of paper have been wound correctly. An electrician is doing a function test: Production output is continuously being optimized. 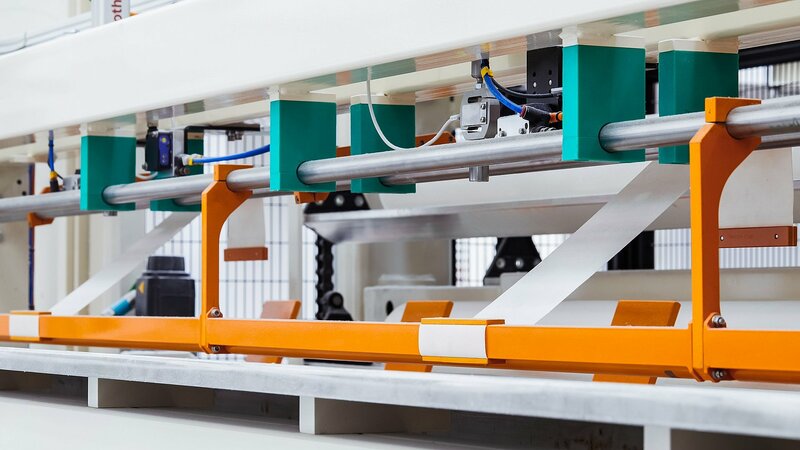 Rolling, winding, cutting, bundling: The machines from the Business Area Tissue are all-rounders. 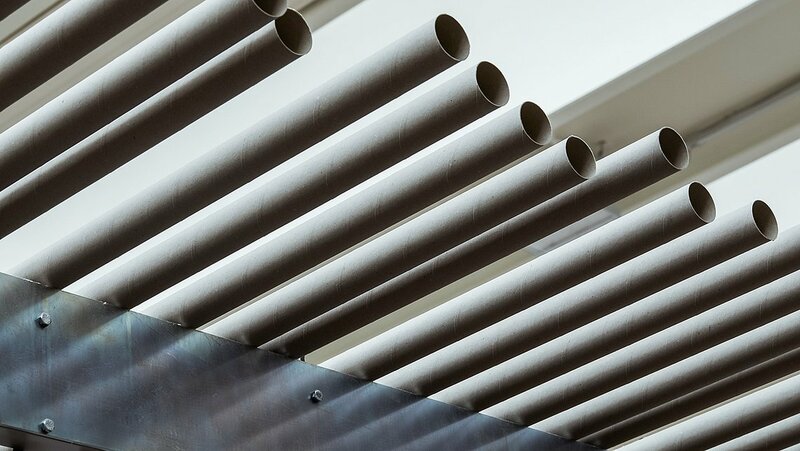 Technology leadership: The Business Area Tissue holds more than 1,000 international patents. A production hall at Fabio Perini: Machines transform simple paper into fancy napkins. Continuous innovation and a systematic orientation to customer requirements make this Business Area the technology and market leader in its industry. Körber Tissue offers customized solutions for markets all over the world. That’s because the requirements placed on hygiene tissue paper vary greatly between different countries. Some people like it soft, while others prefer a bit more texture. Some prefer tissue paper from a roll, others like it folded. Still others like to have it colored or scented. The machines from Körber Tissue provide the right products to fulfill every requirement. That’s not a matter of chance: About seven percent of sales are invested in research and development. Which is one reason why the Business Area holds more than 1,000 international patents. Fabio Perini is the leading supplier of converting machines and services in the tissue industry. MTC is the technology leader for folded hygiene tissue paper, such as facial, hand towel and napkins. Engraving Solutions offers finished product innovation and embossing rolls. Our goal is to reshape the future of the industry so that we can grow together with our customers. Founded in 1966 as Fabio Perini and acquired by Körber in 1993, the Business Area Tissue employs experts at eight production locations in North and South America, Europe, and Asia. The sector’s hotspot is Lucca, Italy, which is also known as “Tissue Valley.” This is where Körber Tissue opened its Tomorrow Lab in the summer of 2018. In this innovation hub, specialists are exploring the opportunities offered by digitization, in line with the concept of Industry 4.0. 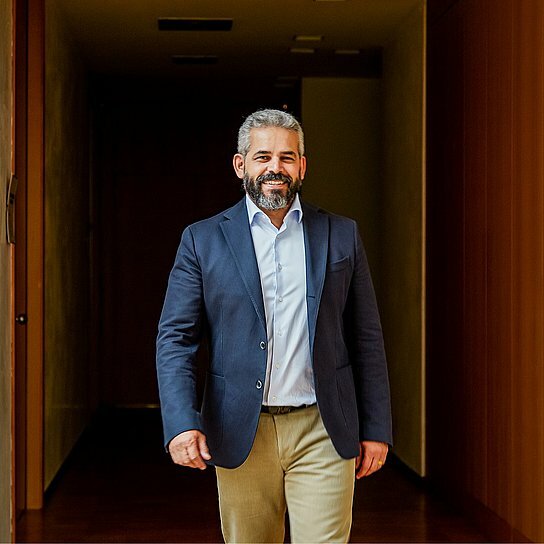 “Our goal is to reshape the future of the industry so that we can grow together with our customers,” says CDO Antonio Mosca, who is responsible for digitization at the Business Area. The Tomorrow Lab is a unique establishment: an open innovation hub for sharing knowledge and collaborating with suppliers, young companies (start-ups), universities, and institutions. Everything in its proper place: Körber Tissue supplies machinery for the entire production range. Making an impression: On the engraved printing rolls, napkins and other paper products are embossed with patterns. Körber Tissue made a quantum leap in 2015 when it launched “Constellation™” an intelligent production machine and line that offers previously unknown possibilities for customization. This production line from Fabio Perini independently analyzes all process and production parameters, sends the data to a computer, and provides adjustments during ongoing operations. The entire production line is managed from one control room. The result is hygiene tissue product of a consistently high quality. It even has a name of its own: Digital Tissue™.